Metro train. 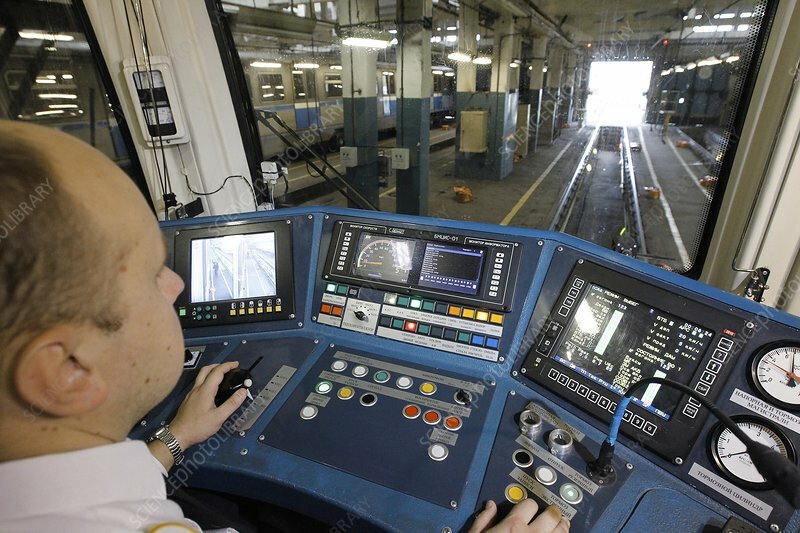 A driver at the controls of a metro train inside an engineering shed. Photographed in Moscow, Russia.